My Country Roads: Wild and Wonderful : Oh... That Door! When I first visited my sister-in-law's house, the door is the one that really caught my attention. 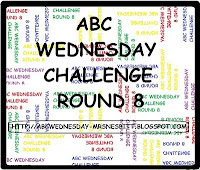 Time flies so fast, we are now on letter O with ABC Wednesday! I would agree ~ Oh that Door!!! It's lovely, put you better have plenty of "Windex glass cleaner"
It's beautiful, and I've never seen one like it. Yes, it's a beautiful semi stained glass door that is very unique. Thanks for featuring it. God bless you all always. That is absolutely beautiful! I love stained glass. It's very expensive, though. Was here doing my rounds ate. Sorry for not visiting. May problem ang Google reads ko, ayaw mag open sa pag, laging feeproxy error churva. So slow kasi internet access namin dito sa Syria now. Anyway, dalaw ka naman sa aking munting blog. Happy ABC Rose..yong sa 'kin nasa Mom's place.